Habitat Partnership Committees (HPCs) are designed to facilitate local decision making regarding wildlife habitat issues and improvements, and act as a vehicle for partnership development and communication between private, state, and federal entities. Creating partnerships between habitat improvement proponents and potential funding programs or funding organizations is a major focus of the Arizona Habitat Partnership Committee program. In 2018, the Department’s Habitat Enhancement & Land Owner Relations Program was able to complete over 100 habitat enhancing projects! None of these accomplishments would have been possible without our partnerships with Wildlife Conservation Organizations around the state. 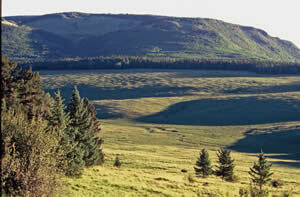 Together, we were able to enhance over a million acres with projects that ranged from grassland restoration and prescribed fires, to water catchment redevelopments and stock tank repairs. Check out this state map depicting all of these great projects. Established by the Arizona Game and Fish Commission in 1992, the Arizona Elk Habitat Partnership Committee and affiliated Local Habitat Partnership Committees were created to address and reduce elk and livestock conflicts and to promote partnerships through cooperative projects. In January 1996, the program concept expanded beyond elk and livestock conflicts and was renamed the Arizona Habitat Partnership Committee to better reflect an ecosystem approach to wildlife habitat management and related projects. Active local Habitat Partnership Committees (HPCs) meet in Springerville-Alpine, Winslow, Show Low, Williams-Flagstaff, Prescott, Yuma, Safford, Tucson, Sierra Vista, and Payson. The Forage Resource Study Group in Coconino County also participates as an affiliate member. 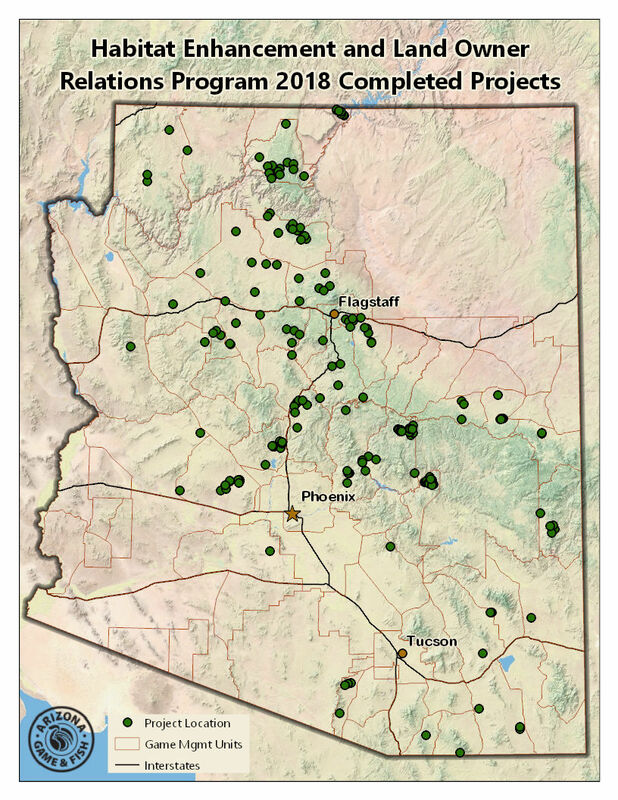 There are currently 13 Local Habitat Partnership Committees (LHPC) and one affiliate member across the state, which comprise the Arizona Habitat Partnership Committee (AHPC). All of these committees focus on putting money on the ground to improve habitat or management for big game species, although many projects benefit other wildlife and livestock as well. The State HPC Committee meets twice a year. The program’s primary funding source is Special Big Game License-Tag funds, although the HPC strives to incorporate multiple funding sources to bring the maximum benefit to wildlife. The Commission annually awards 3 special big game license-tags per big game species to nonprofit wildlife conservation organizations that auction or raffle these tags to raise funding that is used to benefit the wildlife species for which the license-tag is issued. The sponsoring wildlife conservation organizations must cover all marketing and administrative costs for the license tag sales, and 100% of the money raised is returned to the state of Arizona. These funds are allocated through the HPC Program by collaboration between the Department and the wildlife conservation organizations that market and sell the tags. Once project proposals are submitted, the Department coordinates with these wildlife conservation organizations and funding is allocated to the projects that provide the most benefit to big game species in Arizona.